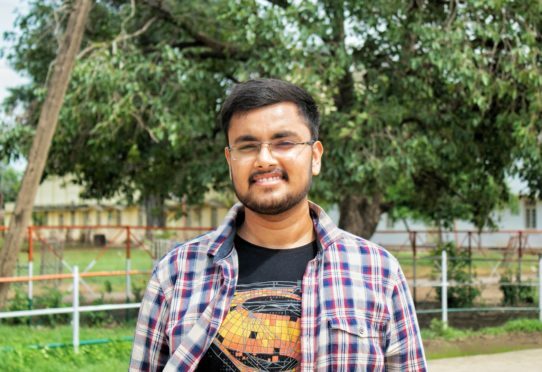 About the Author: Aakash Rai, a student of Samrat Ashok Technological Institute, joined Internshala Trainings for Python and web development trainings. He talks about his experience during the trainings and how he benefitted from them. Right in my first semester, I came to know about Internshala through the Internshala Student Partners at my college. At that time, I wasn’t quite keen on learning a new skill, but after I visited Internshala’s website and went through the trainings they offered, I found their Python training pretty interesting. While most of my classmates signed up for Java or C/C++, I opted for Python given the ever-growing scope of the language. The training started with an introduction to Python – its installation, variables, and syntax. I found the syntax to be much easier than that of other languages and it made writing programs in Python quite easy. Then, there were datatypes, variables, for and while loops, if else conditionals, and the concepts of object-oriented programming. Next up was the Graphical User Interface where I learnt to create static graphics using colors and to use animations in it. After this, I created a video game using PyGame software where I could run my graphics and test the game. The tests and the project made the training even more interesting. A few weeks later, I enrolled in their web development training since I had figured by then that I wanted to become a web developer. The training started with HTML wherein I learnt the ropes of frontend web designing. I developed web pages using tags, elements, attributes, and hyperlinks. Then, I moved to CSS which is a styling tool that makes the elements on a webpage look attractive. Here, I learnt to add colours, boxes, lists, tables, etc. on a webpage using CSS commands. The next module talked about Bootstrap wherein I learnt further about formatting options such as adding forms, panels, thumbnails, glyph icons, jumbotron, navbars, etc. In the third module, I learnt the basics of database management system and databases. I learnt to store and update data in a database and link various databases to perform required actions. I also got to know about DDL and DML commands and various keys like foreign and primary keys. In the last module, I learnt about PHP – its functions, arrays, string, and loops. Along with this, I got my hands dirty on various SQL commands. I also developed a website for an e-commerce store as the final project to complete the training. Once the training was over, I started looking for internships on Internshala. I applied to a web development internship at Reaching Sky Foundation, an NGO based out of Delhi. The selection process was simple; I was shortlisted on the basis of my answer to the ‘Why should you be hired?’ question and a telephonic interview was scheduled wherein I was asked basic questions about HTML and Bootstrap along with thumbnail editing and SEO. They asked me if I had done any training in web development, and I mentioned the training I did from Internshala. My responsibilities there were to maintain the website, test the existing website and rectify the bugs, and make the website more user-friendly. I was also involved in ideations for getting more donations for the NGO and utilising SEO benefits for making the website more popular. I am currently developing a website for my college’s E-cell. It would cover all the events that take place at our college, registration forms, team members’ details, subscription box, and various navbars. Thanks to Internshala Trainings, I could give a really early start to my career in web development. Enthralled by Aakash’s review of Internshala Trainings? Do you also want to give an early start to your career? Then, register for Internshala Trainings and use the coupon code BLOG10 to get an additional discount of 10%. P.S If you shared It, It Would Make My Day. nice and very interesting posting. hey great, read thanks for sharing your life experiences..
Hey Akash, what subjects I should choose to become a python developer? Become a web developer is not easy especially in the first year so this is very well to achieve web development goal in a few time. Not every person is capable of this but as a Junior developer, responsibility to prove as the best web developer is more critical but not to worry about this. Now let’ see and boost up web development skill as a junior developer. This 5 minutes reading maybe change your web development career.